After DB connectivity is Tested, Press “Run Integration Scripts” button to create required SQL Tables. After Syslog Service is Restarted it should be ready to process and store Syslog Traffic. 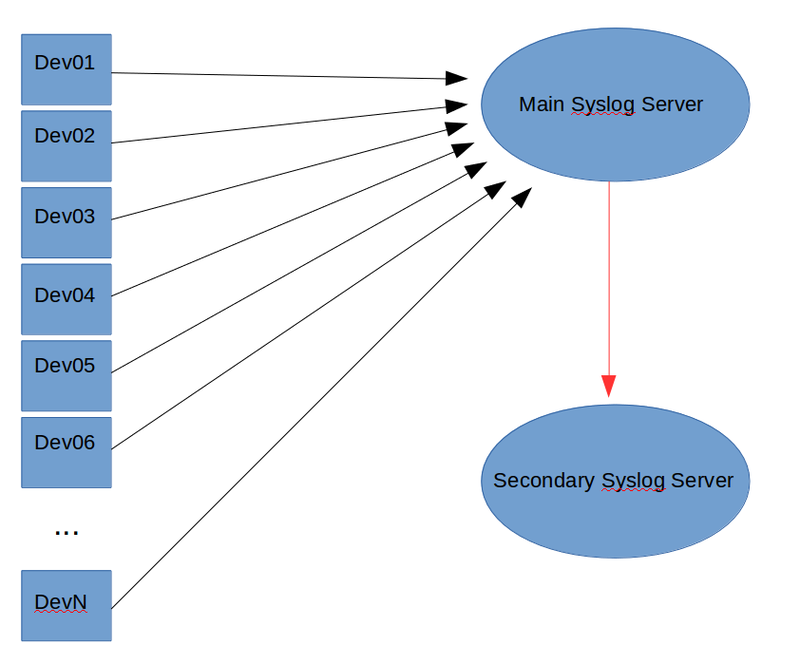 Syslog is a protocol that allows systems to send Event Notification Messages through IP networks to Syslog Servers (also known as Event Message Collectors). There the messages can be sorted, searched, and analyzed to monitor the state of individual devices as well as the overall system. Syslog messages contain both status information and a Severity Level, which ranges from 0 (zero) to 7. Level 0 messages are emergencies. Level 7 messages signify that the sender is in Debug mode. The meanings of Levels 1 through 6 are application dependent. This works fine if you just have a few devices. But it quickly becomes impractical as the number of connected devices grows. 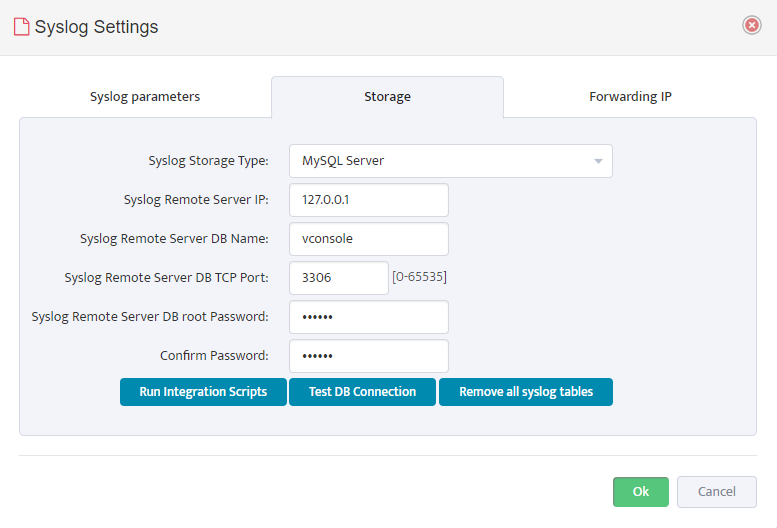 Imagine configuring 1000+ devices to send Syslog messages to one or more additional servers for a special project, then disconnecting them all later. This makes the traditional approach impractical for large installations. 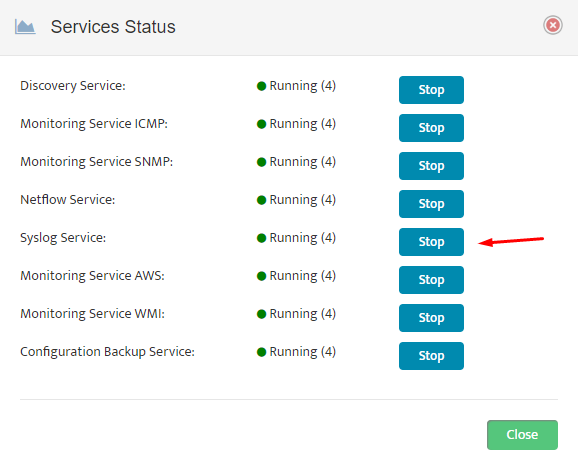 This approach makes adding and removing secondary Syslog servers simple. However, forwarding every Syslog message does increase the load on the primary Syslog server. You need to carefully monitor the primary server to avoid overloading it. Nectus recommends you cascade no more than 10 secondary Syslog servers to avoid overloading the primary server. 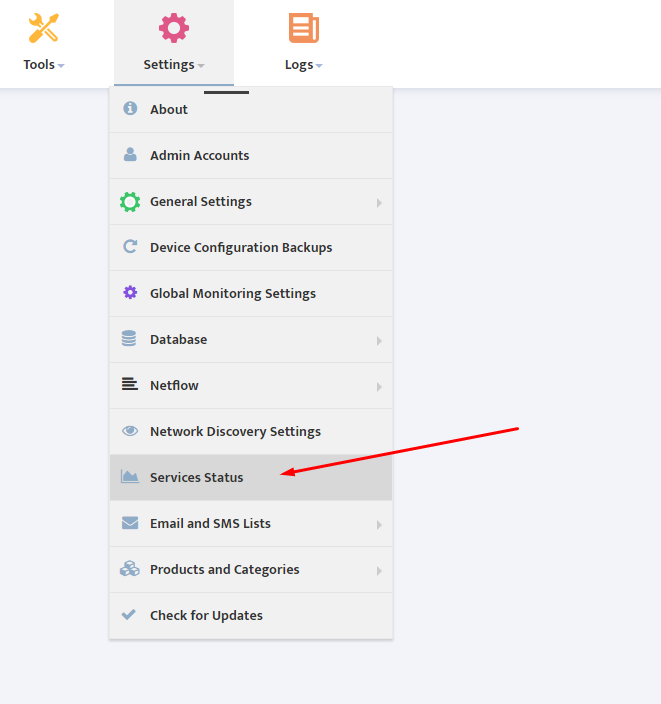 Click Settings in the Nectus Home Screen. In the Settings menu that appears, hover the cursor over the General Settings option. 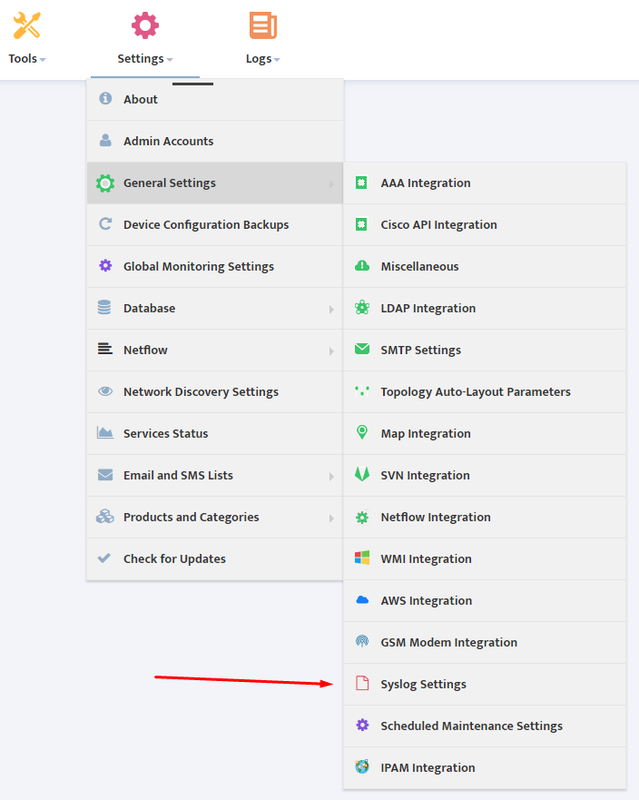 Click the Syslog Settings option that appears. 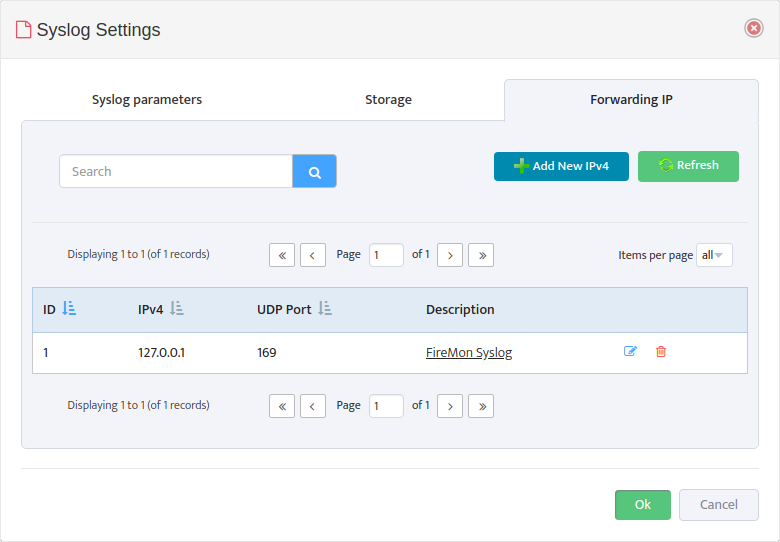 Select the Forwarding IP tab in the Syslog Settings dialog that appears. 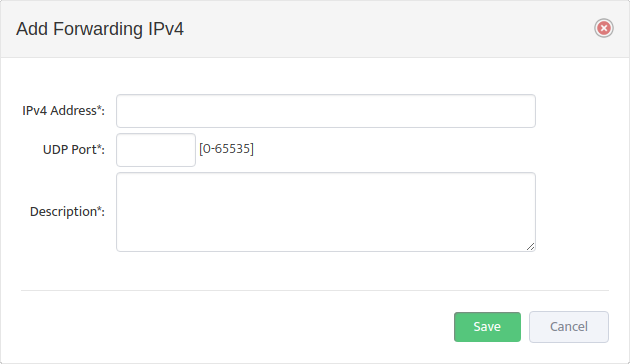 Click the Add New IPv4 button to open the Add Forwarding IPv4 dialog. For each secondary Syslog server add the IPv4 Address of the server, the number of the UDP Port the server is listening on, and a Description of the server. One of the key features of Nectus is ability receive SNMP traps. This allows the operator to quickly detect physical (links failures, flaps) or logical (adjacencies failures, flaps) changes in the network followed by restoration procedures or root cause analysis. 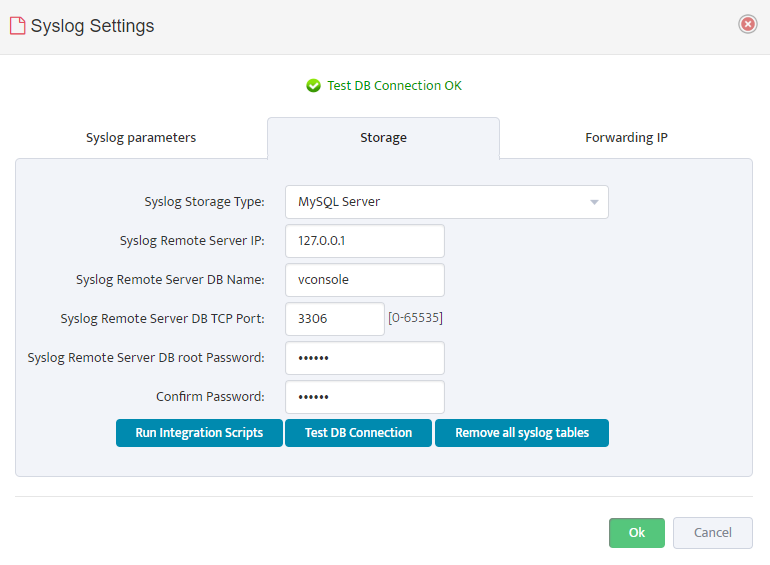 The SNMP traps are located in top menu “Logs” -> “SNMP traps and Syslog”. At the time of the writing, the new SNMP traps decoding is added manually by the Nectus support team, but in the future the operator will have the ability to add the traps decoding with no external assistance. 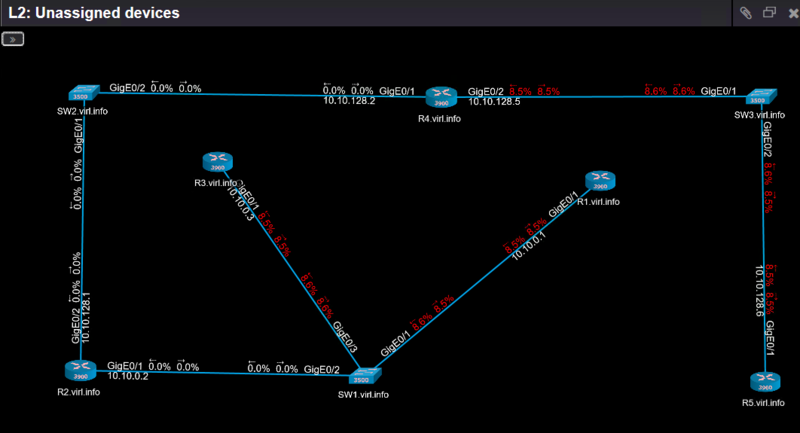 All these traps were sent by R1 and R2 when GigabitEthernet0/1 on R1 was shut down. Because OSPF was running between R1 and R2, disabling the interface lead to OSPF adjacency between the two routers to go down. As you can see, some OIDs are represented their original format, whereas some OIDs are represented in a more human readable format. With the above trap details, you can tell that this is “link down” trap. However, with other traps, you might need additional knowledge to figure what they represent. And it can be read like this: Router-ID 192.168.0.2(.1.3.6.1.2.1.14.1.1) declared neighbor 192.168.0.3(.1.3.6.1.2.1.14.10.1.3) with IP address on the interface 10.0.0.14(.1.3.6.1.2.1.14.10.1.1) as Down(.1.3.6.1.2.1.14.10.1.6 with value of 1). Obviously this is not very intuitive and Nectus should do all the the decoding so that the operator will not go through all the effort to find what each OID means. 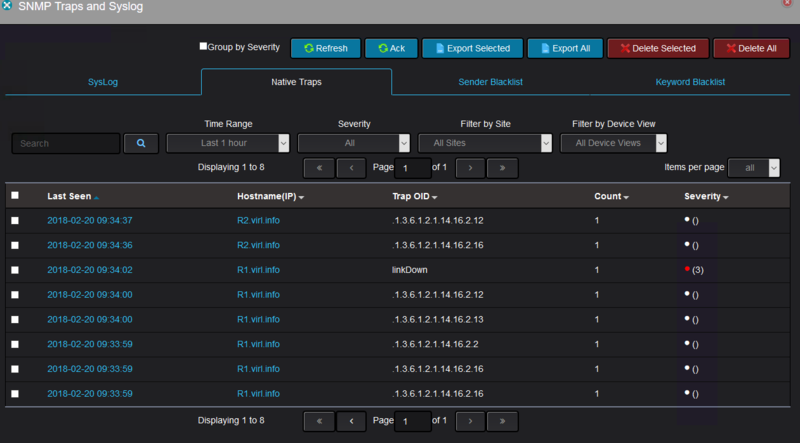 In the future releases user will have an option to add the decoding for new or unknown SNMP traps via GUI. 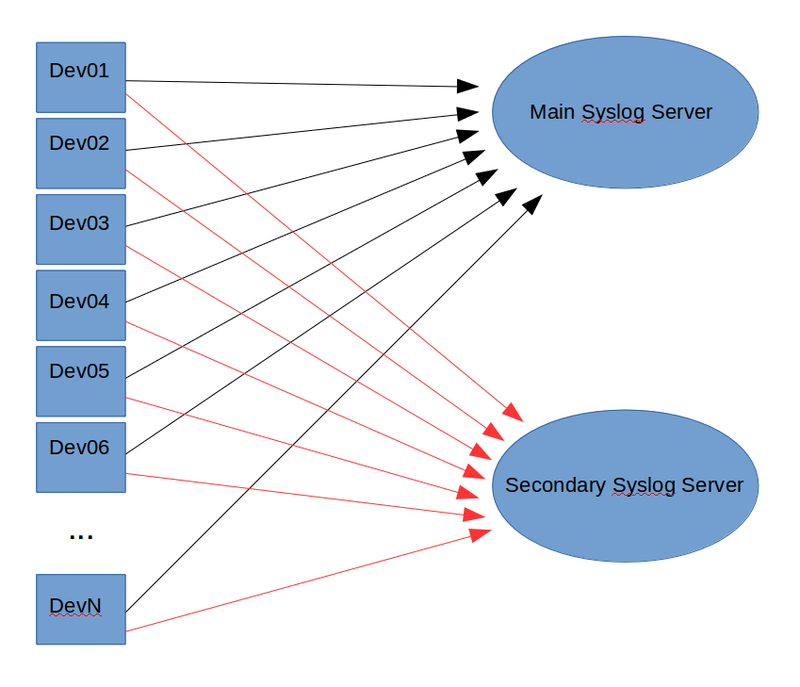 This post will cover the SysLog server functionality of Nectus network monitoring software. As with any modern network monitoring software Nectus has the ability to receive and store the syslog messages from routers, switches or servers. those ugly green boxes locked in MDF closets. to Syslog Sender Blacklist. All messages from that IP address will be discarded.